From the darkest recesses of the drum & bass world, this LP sampler from Audio signifies the last step towards his debut LP on Ram Records. Already receiving support from the scene's heaviest, including key influencers Noisia and Beats1 mogul Zane Lowe, this next release is the predecessor for an album set to make history. 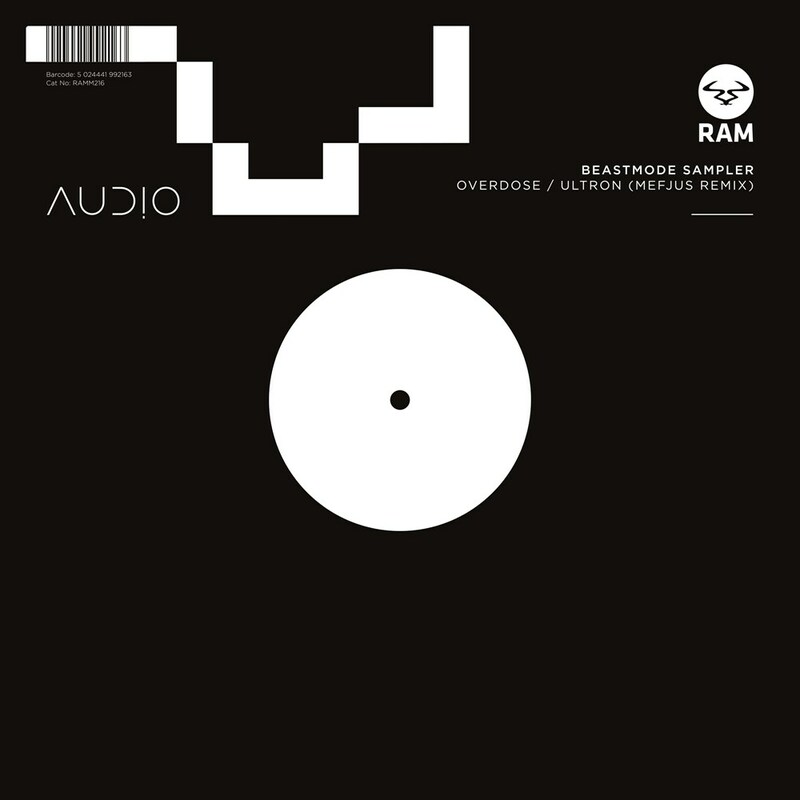 First up, 'Overdose' sees Audio return to his brutish, rolling bassline slashed with gritty drum loops and underpinned by quaking subs. The master of dropping ominous samples into the mix, it propels deep into a murky conundrum of sound. Steroid driven kicks bloat out the already weighty composition, sliced with distorted, elevating beat patterns and bass to create an angry, sneering and unapologetic opener. This is Audio once again pushing through like a freight train… Unstoppable. Next up is the Mefjus rework of Audio's signature Ram release 'Ulton'. His production standards were already credited at this year's Drum & Bass Arena Awards; it's not surprise that Audio enlisted an artist who's received recognition for spreading his signature sound across dance floors worldwide. Mefjus' moulds the original around the unfaltering guns of his peddled drums and wavering bassline. Flicking the switch midway, you're thrown head first into the techy soundscape the producer reigns over. So once more we return to the cold, nefarious sounds of Audio a final time before his album is dropped on the Ram imprint. The dial is currently turned to full throttle and it's easy to see why the anticipation has only been growing with the release of each single.